Home Blog How Long Will it Take to Learn Danish? How Long Will it Take to Learn Danish? There is a sense of accomplishment when one learns a new language. Especially, if it is a language that is totally different from your native area. Danish is one of the languages which you can take pride in learning. So, how can I learn to speak Danish? As a Danish speaker with knowledge on the language, it took over a decade to reach this level of proficiency and fluency. It is has become common for many foreigners to inquire about how long will it take to learn Danish. First, it is better to start off by stating that it was not a walk in the park. For the better part of the first years, it was full of many mistakes. This begs the question, how fast can you learn Danish? This is fully dependent on the learner. But as time progressed, I learned how to make improvements in the grammar and sentence structures. It is comforting to know that there exist many similarities related to the English language. It was a really difficult time conversing with the locals who had a mastery of the language. But it was a teachable moment as I reflect this date. Even though I enrolled at the government-funded Danish language schools, there was still something missing that held me back. Currently, the schools have done tremendously improved and it is the best way on how to learn Danish quickly. Previously, the programs that were being administered catered for the low-skill level suitable for the immigrants. 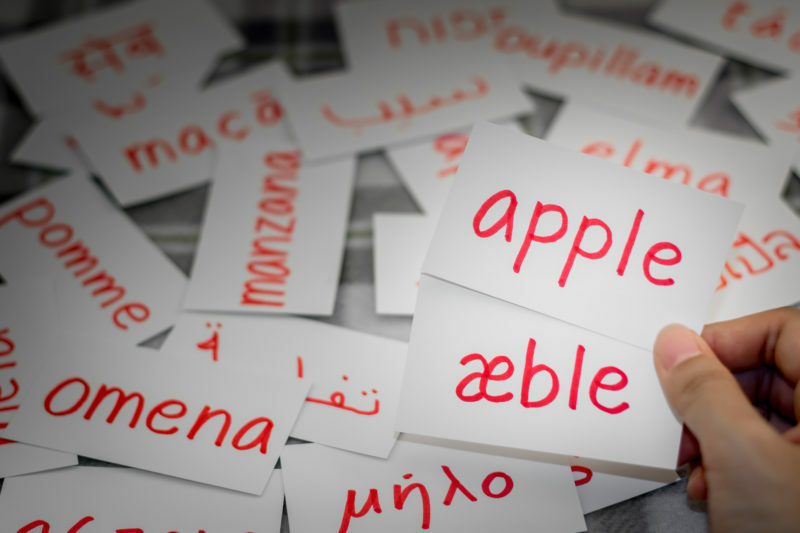 From memory, classes made use of repetition as a technique to make the learners grasp the pronunciation of words and sentences. Another technique was clustering all the countries from different backgrounds and nations into a single class. This is inconsiderate of certain factors such as Swedish learners had a faster learning period in Danish compared to a person for example from Korea. There was a fast grasping of the learning concept by the Swedish learners. The Korean learners, on the other hand, had a difficult time keeping up with the pace and eventually fell out. This urged me to get a private teacher and in the end, it turned out better. I also had an easy time when it came to written Danish. It was straightforward and void of all the kaleidoscopic verb endings associated with Spanish and French. This also was inclusive of the old fashioned spellings associated with English. Before we embark on this mission, a spoiler is that written Danish is different from spoken Danish. You will be amazed at the different relation of how some Danish written words are pronounced way differently. The learning process of Danish to comprehension is learning the concept of guessing the parts of the spoken word which are missing. In the process of understanding the spoken Danish language, the best people that you can choose to listen to are the foreigners. However, for other foreigners with the ignorance utter the complete Danish words. In my experience, the line of Danish speakers from whom I learned was the Queen’s husband Prince Henrik, a French native. When a Dane hears his pronunciation, it will be a cringing moment since he pronounces the entire words every single time. How quickly can you learn Danish? Another personal recommendation that you can make use of is the use of hand puppets as shown on the television. This is due to the fact that they do not have real mouths, the puppet holder needs to be accurate in enunciating the words clearly. Danish television programs with subtitles meant for the deaf is also a good learning point. If the Danes made a point to include subtitles in all their content on television it would make the learning experience much easier. Another learning experience that you can make use of includes mumbling to yourself. It becomes a little difficult for your audience to tell if you are making mistakes or are in total control. This technique I find most efficient since it ensures that you are hiding the problems with the adjective meanings. It is a common occurrence when you run into Danes with differences when it comes to spelling and other aspects of the language. This is especially common when it comes to the use of commas. This creates a hot debate most times that might end with fist fights. Apart from the heated debates, the Danish language is a reflection of the homogeny and the harmony of the Danish culture. This is to prove that not even the Danes say the too definitively, this is due to the fear of attracting unpopular opinion and being forced to accept defeat. An example of the same scenario is in case something is doing well. In English, you will admit that you are definitely and positively like it, but according to the Danes, you will have to say that you kan lide it. This case provided above shows how the construction constraints the Danes from being considered unfashionably enthusiastic when relating to things. This creates the assumption that their opinion should be considered more valuable compared to those of others. So, how quickly can you learn Danish? The Danish language learning process is dependent on three factors; this is inclusive of the attitude of the learner, the attentiveness of the learner and the available time. When you assume a positive attitude and the reasonable and the growing attentiveness to the language on part of the learner. The Danish language and English are related to the Germanic language family. This means that the close relationship that exists leads to many words which are recognizable, such as grammar and pronunciation. When it comes to the Danish numbers, the Scandinavians are teased for the difficult number system in use. The numbers are based on the multiples of ten. In case you are an English speaker and wondering how long to learn Danish, the Danish language possesses familiar vocabulary hence the vocabulary is not much of a challenge. But there exist three extra vowels in the alphabet and close to 40 vowel sounds with some oddly pronounced consonants and silent letters. There are hosts of interestingly pronounced words. In essence, how can I learn to speak Danish? Is it advisable to practice with other students the Danish language in a supportive environment. This way you can check the right pronunciation of the ‘r’ and whether the stress is at the right place. There are also a wide host of websites and apps which are useful in supplementing the language class. The more exposure to the Danish language the more you learn much faster. Are you wondering how fast can you learn Danish? Then there is the need to listen much to the Danes in order to learn how to speak fast. There are hosts of Danish films and TV series, listening to the radio and Danish music. You can also opt from Danish news for stories that you are familiar with. Which Scandinavian Language is Easy to Learn?